Jenna Elizabeth Johnson: FIVE DAYS OF DRAGON INTERVIEWS, DAY 1 - A DRAGON REFLECTION BY KATIE SALIDAS! FIVE DAYS OF DRAGON INTERVIEWS, DAY 1 - A DRAGON REFLECTION BY KATIE SALIDAS! Hello Eager Readers! 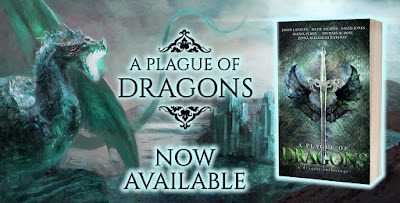 For the next five days, I'll be sharing a post a day written by one of the authors featured in the PLAGUE OF DRAGONS anthology (Now Available!). Today we're going to start with the fabulous KATIE SALIDAS and some thoughts regarding dragons ;).